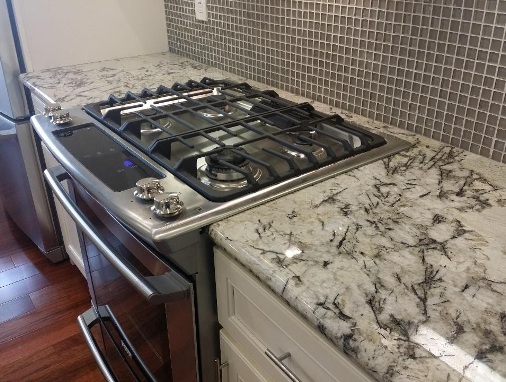 Pelleco Home Design Kitchen & Bath Remodeling Contractors are well known in Scottsdale AZ for their reputable customer service and quick turn around time. 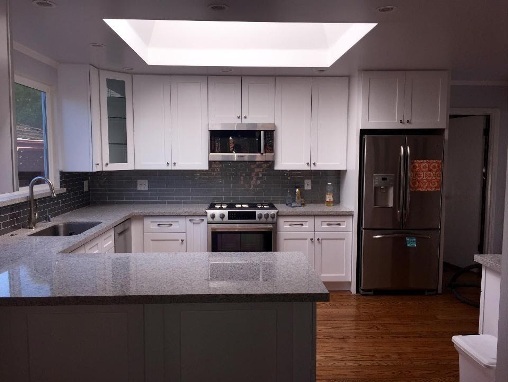 Their professional designers can create any kitchen or bath that you desire. If you have a picture that you love, bring it in to the showroom and they can recreate it for you. 15000 N Hayden Rd Scottsdale, AZ 85260. 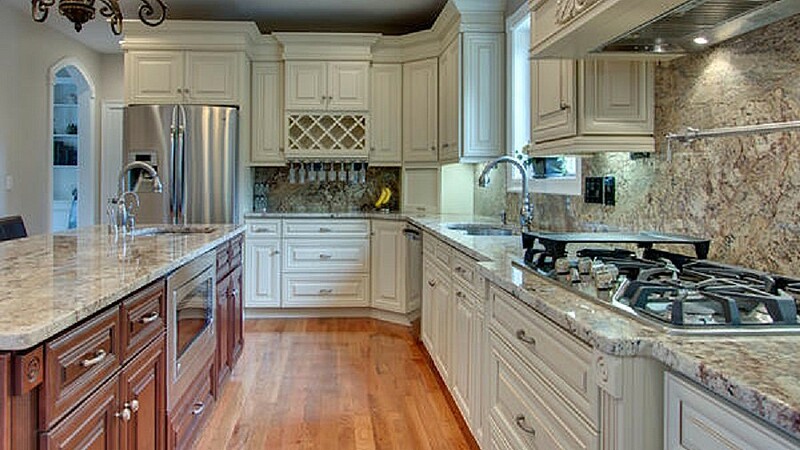 This kitchen has two different contrasting cabinet colors which really allows each of these cabinets to stand out. The wall cabinets include a built in wine rack and wine glass holder. 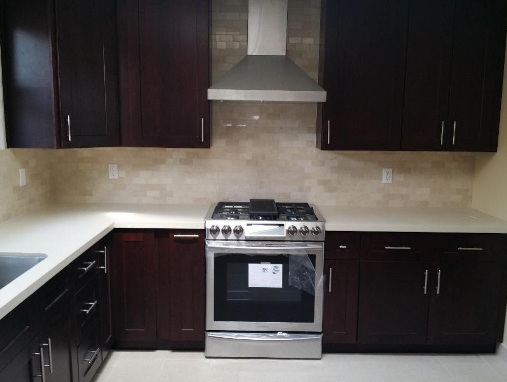 The countertops and matching backsplash really blend in with the light colored cabinets on the wall. The island includes a sink on both the wall and the island. The sink on the island is perfect for prepping and clean-up when entertaining.